The Supreme Court has previously imposed limits on capital punishment for mentally incompetent or intellectually disabled people. Vernon Madison was convicted and sentenced to death for fatally shooting a Mobile police officer in 1985. 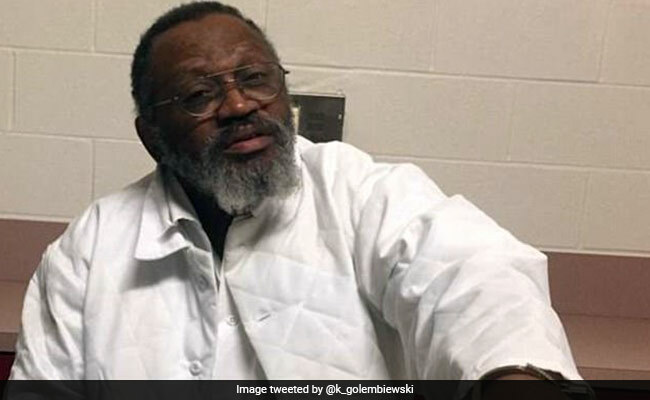 U.S. Supreme Court justices, delving into the issue of ageing prisoners with dementia, struggled on Tuesday over whether a convicted Alabama murderer should be spared the death penalty because strokes have erased his memory of committing the crime. Vernon Madison, 68, was convicted and sentenced to death for fatally shooting a Mobile police officer in 1985. During an hour of arguments, the justices heard from both Alabama and Madison's attorney that severe cognitive decline could preclude a state from executing inmates who cannot understand what was happening to them. But it remained unclear whether the justices will decide Madison fits that criteria. The justices, on the second day of their new term, must determine whether executing Madison would violate the U.S. Constitution's Eighth Amendment prohibition against cruel and unusual punishment. A ruling is due by June. Liberal Justice Stephen Breyer, a death penalty critic, said there are many ageing inmates who, like Madison, have spent decades on death row. "So this will become a more common problem," Breyer said. Madison suffered several strokes in recent years, resulting in brain damage, dementia and memory impairment, according to court papers. He is legally blind, cannot walk unassisted and speaks with a slur. The dispute centres on whether Madison can understand the connection between his crime and the planned punishment. Alabama has said Madison can understand the link. A federal appeals court ruled last year that he cannot. The justices ruled last year that Alabama could execute Madison, but on Jan. 25 they then halted his execution and a month later agreed to hear his case. Madison shot Julius Schulte, a police officer in Mobile, twice in the back of the head as Schulte supervised Madison's move out of his former girlfriend's house, according to court papers. Attorneys for Alabama and Madison told the justices memory loss alone cannot exempt someone from execution. Chief Justice John Roberts, a conservative, asked Madison's attorney Bryan Stevenson whether he conceded that "simply blacking out, you don't remember the crime" was not enough. "It doesn't make them incompetent," Stevenson agreed, but asked the justices to bar execution when "someone has a disability that renders them incapable of orienting to time or place." Liberal justices including Sonia Sotomayor appeared to agree Madison should be spared, but conservative Justice Samuel Alito noted that experts evaluating the case said Madison understands the meaning of the death sentence and certain other details. "Nothing about Mr. Madison's conditions impact the state's interest in seeking retribution for a heinous crime," Alabama Deputy Attorney General Thomas Govan said. The court, one justice short amid the fight over President Donald Trump's nominee Brett Kavanaugh, is currently split 4-4 between conservatives and liberals. Madison, who is black, was sentenced to death in 1994 in his third trial. His first two convictions were thrown out on appeal for racial discrimination in jury selection and other prosecutorial misconduct.